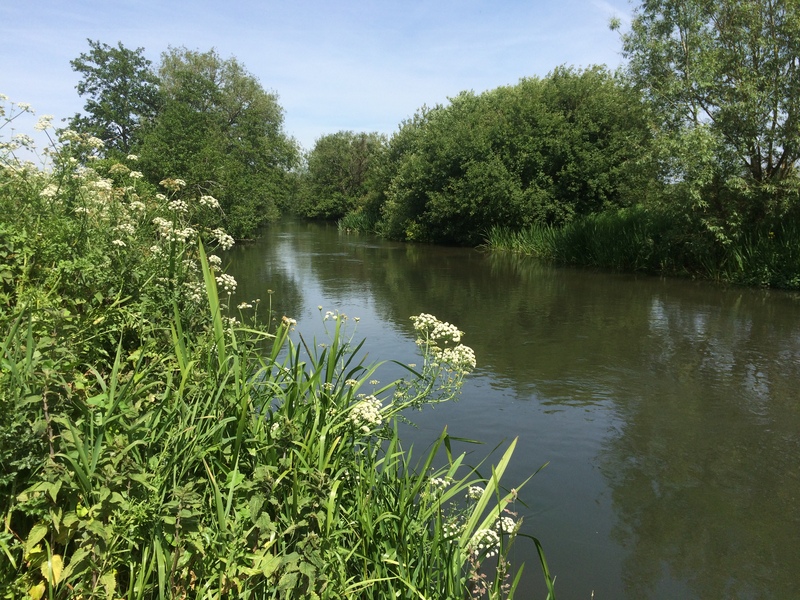 My final outing of the river season was to the Upper Benyons stretch of the Kennet, in search of a last-gasp barbel. The river was running high, coloured and was flowing quite fast following recent heavy rains, though it had apparently dropped levels a bit since the day before. My tactic was to rove the fishery, using large, flavoured meat baits, spending 10-15 minutes in each swim. Where practical, I was upstreaming the bait, working it down the swim. The first swim I tried produced a decent bite which I failed to connect with. 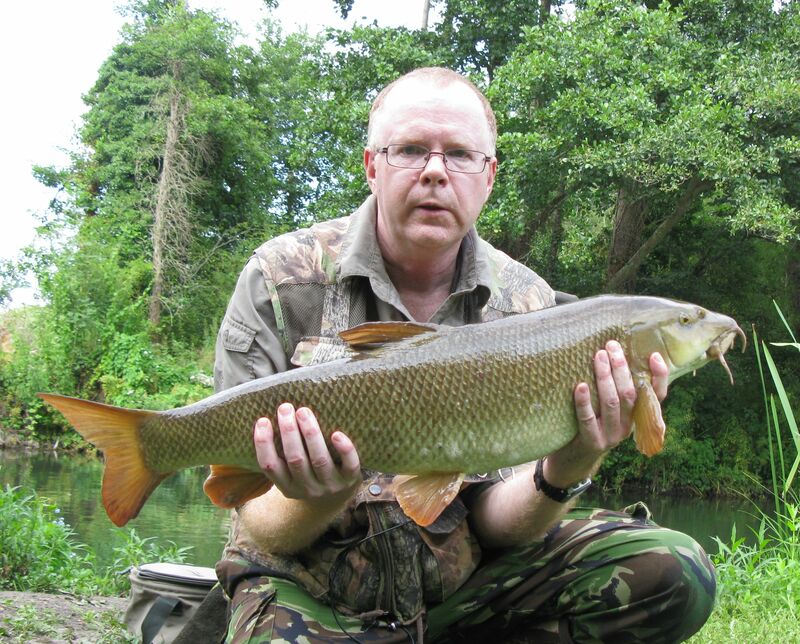 My suspicions at the time were that it was more likely to have been a chub bite than a barbel. More of that later. The day had started cool and foggy, but by around 11 o’clock, the sun broke through the fog, and the rest of the day was fished in glorious sunshine. 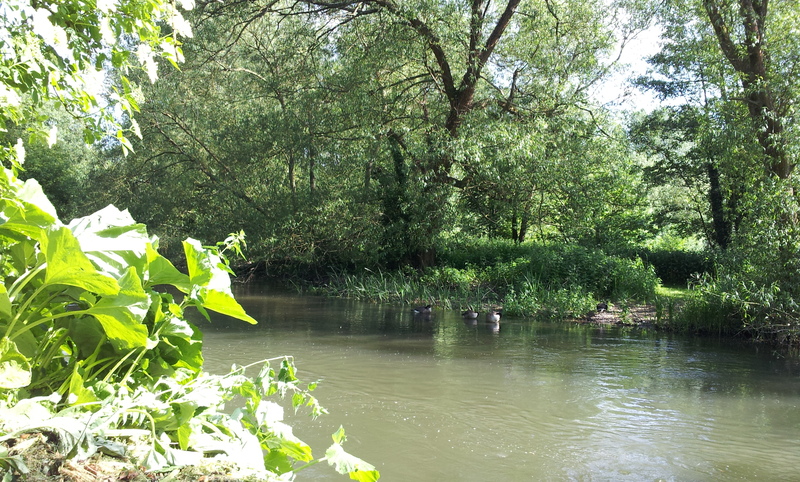 I covered the entire length of the fishery and back, with only one other bite to show for it – a rapid drop-back on an upstreamed line – which again I missed. 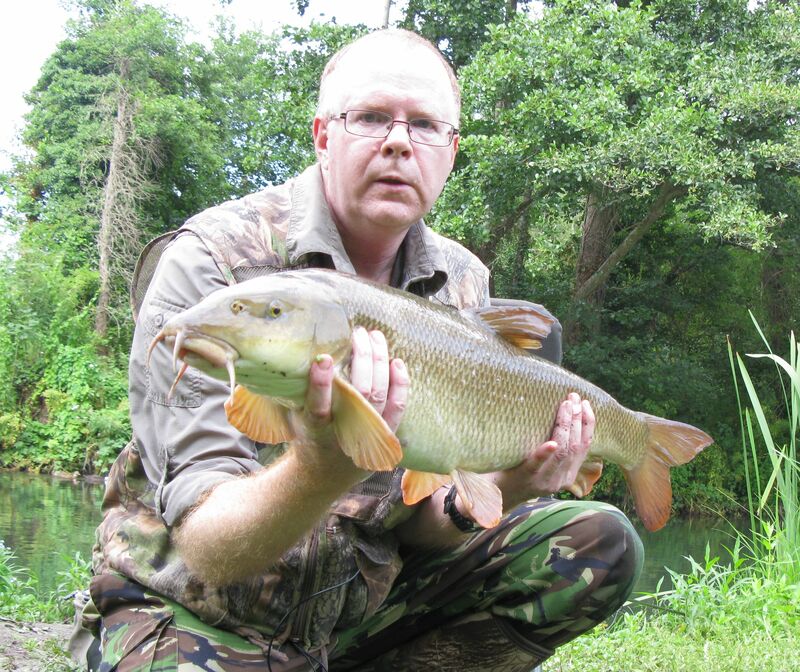 This time, I was more certain that a barbel was responsible, so was annoyed at missing the chance. Eventually I returned to the first swim. The bait had been dropped into some steady flow close to the bank and had been there for a few minutes, when the rod tip was jerked round. This time I made contact, and the fish took off like a scalded cat. After a short but very lively battle, I slipped the net under a very large chub. The scales settled on a weight of exactly 6lbs – a new PB chub, beating my previous best by 3 ounces. After resting the fish in the net, the trophy pics were taken and the fish returned. I used a new camera for the first time – an Olympus Tough TG-3, which is a waterproof camera designed to take a few knocks, so ideal for fishing purposes. It also can be wi-fi’d to a smartphone, which can then be used as a remote viewer to frame the shots and as a remote shutter release. Picture quality seems fine for trophy shots viewed on the PC. I fished a few more swims after that, but with no luck, so, reluctantly, I decided to call an end to the session and the season. 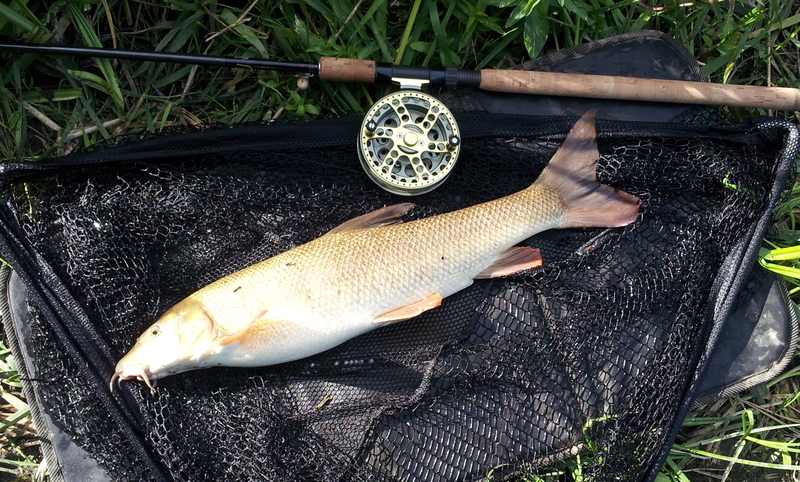 Got the float rod out for today’s session on the Kennet, and a spent a few hours trotting the stream. Yet again though, the river seemed almost lifeless. 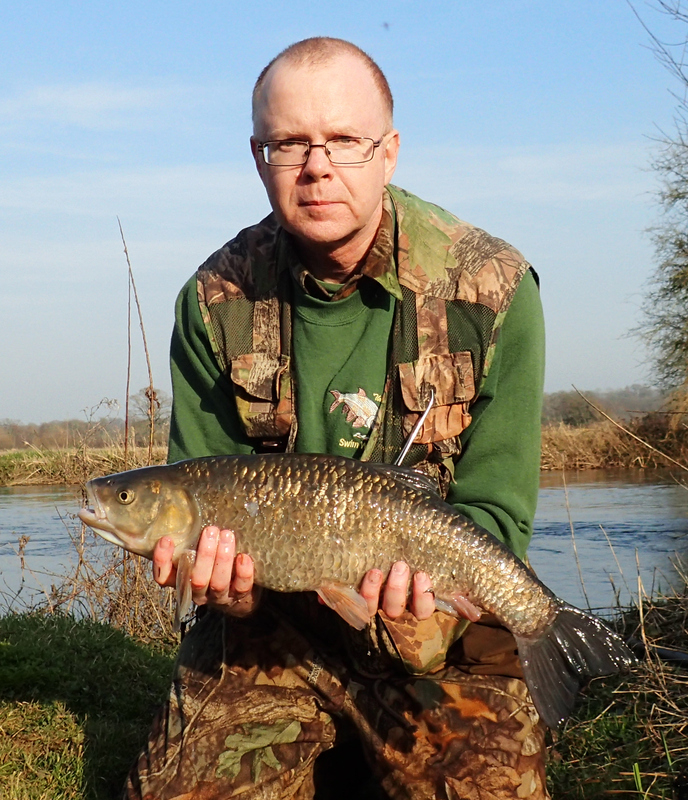 In previous years on this stretch of the river, trotting maggots would see you catching plenty of dace, minnows and other small fish, not to mention the odd chub. But this time, the small fish were almost absent. However, I did briefly hook a couple of big fish (probably barbel, but I didn’t have them on long enough to be certain), but both times the hook pulled. I suspect I’d not struck hard enough, as both fish took the bait 30+ yards down the trot, so a good strike was needed to set the hook properly. Only myself to blame here I think, but very frustrating all the same. 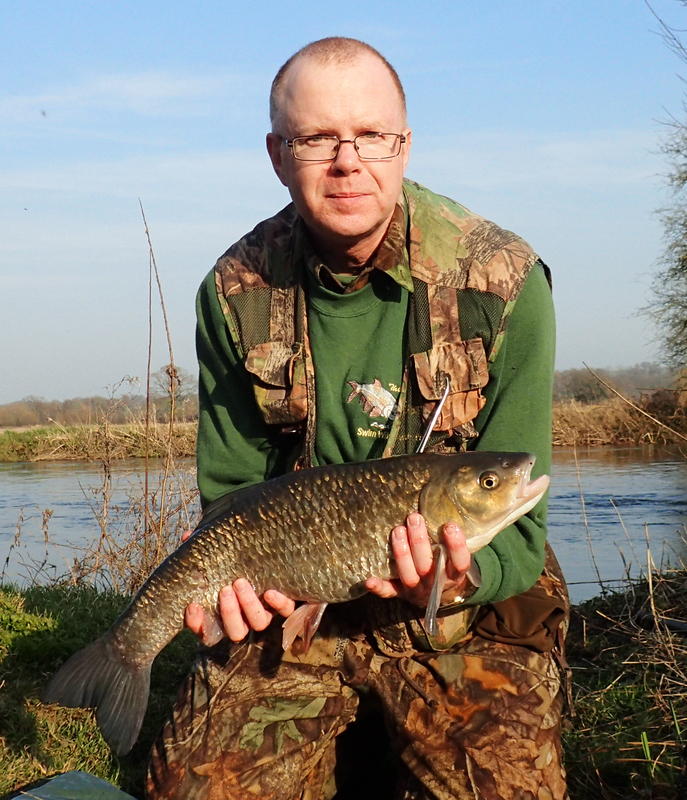 I can’t recall the last time I went 3 river sessions at the start of the season without landing a barbel. However, I can take some solace in that other anglers on the stretch are reporting the same lack of success. I only hope this is a short-term malaise caused by the unusually cold spring we’ve had, rather than signs of a more serious issue, and that things will pick up with some warmer weather. 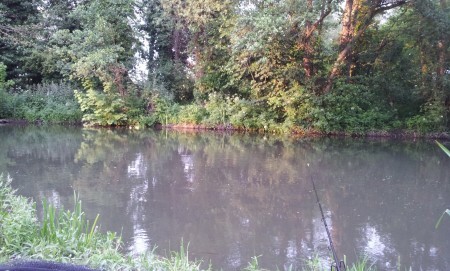 First trip of the new season, great to be back on the rivers again after the unsuccessful attempts to catch a canal carp, and a chance to test out my new custom-built Torrix rod. The river showed no signs of having benefitted from the rain of recent days, with it being as low as I’ve seen it at this stage of the season, and as clear as it ever gets these days. I was mildly surprised to find only two other anglers on the stretch – a sign of the times perhaps? When I first had a ticket for this stretch back in 2000, there would always be quite a few people during the first few weeks of the season, but that has tailed off and it is not unusual for me to have the venue to myself, even on a weekend. Before settling in to a swim that was quite good to me last season, I dropped a few boily and pellet samples in to a couple of other swims. I started off using a groundbait/pellet feeder with pellet on the hook. On the second cast, the feeder had hardly settled, when the rod top was yanked sharply round and I was into my first barbel of the season. 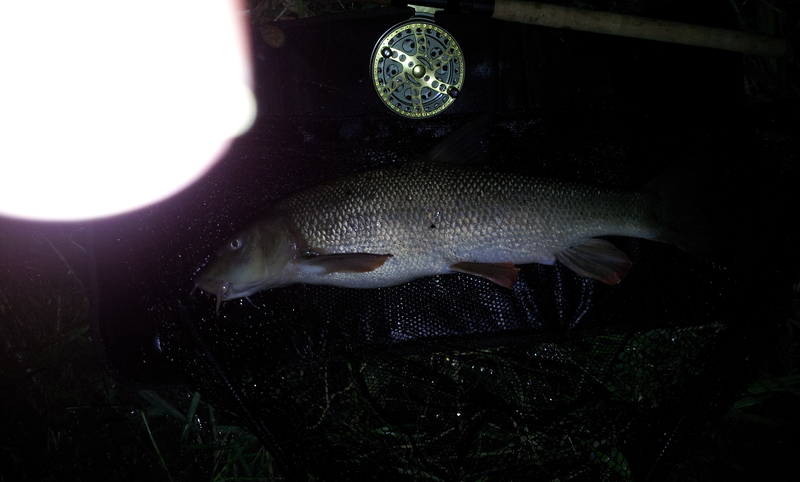 After a lively but fairly brief scrap, I had a nice barbel on the unhooking mat. Putting it on the scales (I always weigh the first barbel of the season – it helps to get my eye in! ), I settled for a weight of 6.15. 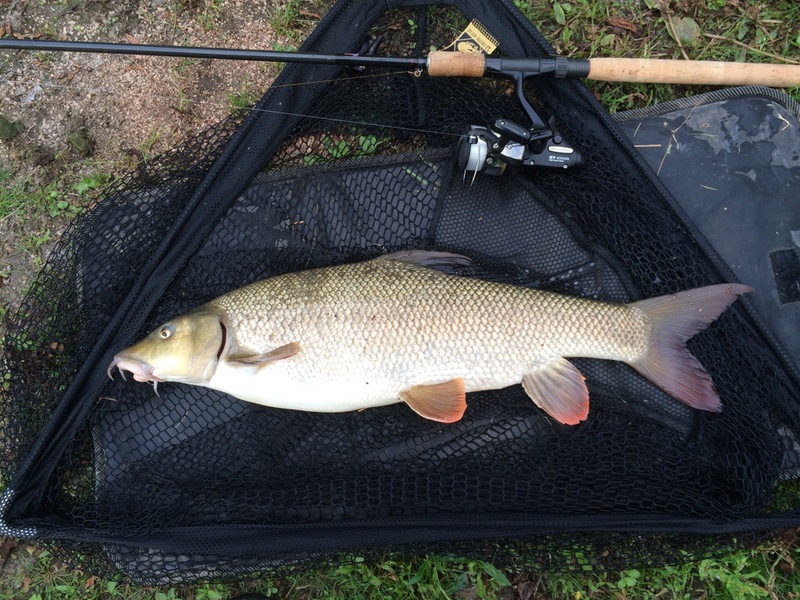 Next cast was almost a repeat of the previous one, as another barbel was hooked very quickly. This one was smaller though, going about three and a half pounds. I was beginning to think this might be the start of a red-letter day, but it was not to be, as – apart from a chublet that snatched my bait – there was no more action in this swim. About eight o’clock, I decided to try one of the other swims that I’d previously baited (I’d also repeated the baitings about an hour earlier), and switched tactics to a straight lead and a boily on the hook. I did get one pull there, but missed it. It may have been a line bite. Because of the sign of fish being present I stayed in the swim probably longer than I should have and didn’t get round to trying the other swim I’d baited, which was probably a mistake. The only “bites” I had for the rest of the evening were from bats hitting the line. So slightly disappointing that the session didn’t fulfill its early promise, but no complaints as even catching one barbel per session sends me home happy. 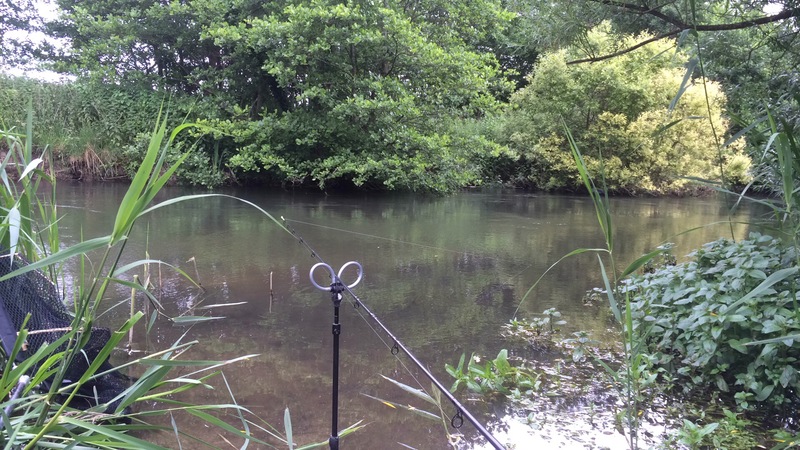 New rod christened – and it handled the fish very nicely, though obviously I would like to test it on bigger fish. And the predicted heavy showers didn’t materialise, which was a bonus.